Three to five links every weekday - 'three separate visions of the future' edition. “We designed the controller to work around ecosystems that exist today, with peripherals that people who have limited mobility may already own today,” Kumar said. Kaufman noted that many third-party options people choose come from companies like AbleNet, which makes and sells a variety of these accessories already. Others include the QuadStick, a device that lets quadriplegic individuals sip or puff on a straw to control games. The controller also supports Copilot. 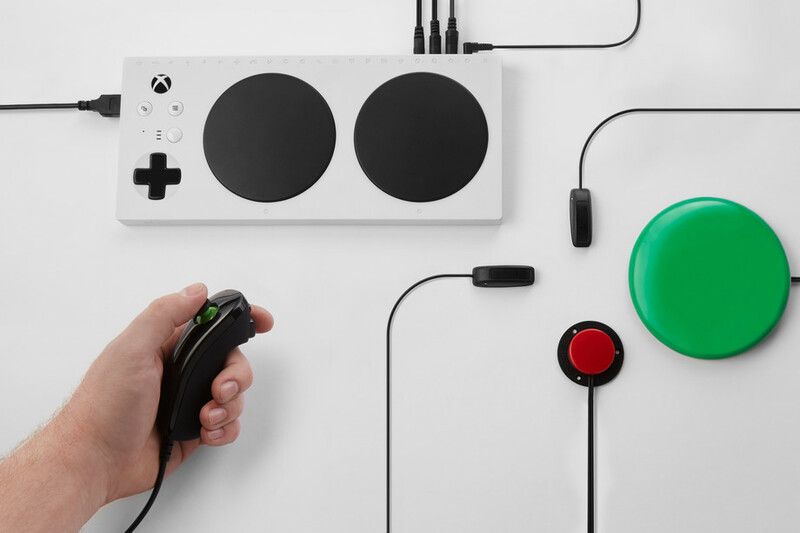 Players can pair it with a traditional Xbox One controller, mapping half of the functions to the standard gamepad and half of the functions to the Adaptive Controller. This can help players, Kumar explained, who may have typical functionality in one of their hands, but need a different solution to use the other side of the controller. Sweden is at the forefront of the move towards a cashless society, with only 13% of payments being made using cash, according to Sweden's central bank, Riksbanken. This development has been a rapid one. The number of notes and coins in circulation fell by 30% between 2012 and 2014. It has more than halved in the past decade. Over the next five years, the amount of payments involving cash could work its way down to zero, according to scientists at Stockholm's Royal Institute of Technology, the largest and oldest technical university in Sweden. Riksbanken is a little more hesitant in their estimation and considers it more likely that a cashless society could become a reality in just over a decade.